The Emirates and Etihad airlines are counted among the world’s leading airlines. A good news for those peoples who are seeking jobs in middle east countries that dozens of positions are vacant in Emirates and Etihad airlines which are presently being recruited. All these airline positions are vacant for those peoples who wants to do work on land or in the air during flights. Most of these posts are vacant in the UAE, but some employees are also required in other countries. 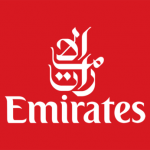 Emirates and Etihad airlines are hiring a large number of employees for their operations. 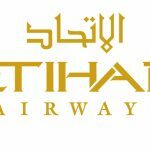 Etihad airline required Accountants, Account Manager, Store Keeper, Online Community Supervisor, Store Incharge, Revenue Management Manager, Supervisors, Business Analyst, Procurement Business Analyst, Finance Manager, Air host/hostess, Delivery Managers, Cabin crew staff and many mores. Similarly, Emirates airline required HR managers, Cabin crew staff, Medical claim processors, Air host/hostess, clinical staff positions, Account Manager, Ramp operations team leaders, Store Keeper, Business support and many other staff to fulfill these vacant positions. 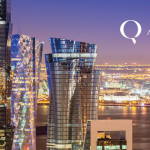 Both airlines are required employees in the United Arab Emirates as well as Germany, United Kingdom, Qatar, Singapore, USA, Australia, Netherlands and other countries.